Appointed Chief Executive of the Restaurants Association of Ireland in 2009, Adrian has significantly increased RAI membership as well as established a National Restaurants Awards programme. With a keen interest in politics and current affairs, Adrian has played a dominant role in lobbying for the reduction of VAT in Ireland to 9% for food bills in restaurants. Adrian is currently lobbying for the re-introduction of CERT, the Council for Education, Recruitment and Training for the Tourism and Hospitality Sector. Adrian currently sits on the National Hospitality Skills Forum and the Steering Group for the development of a National Commis Chef Apprenticeship Programme. In 2013, Adrian spearheaded the KeepVat9 publicity / political campaign for the retention of the 9% vat rate for Tourism and continued to lobby for its retention into 2014, 2015 and 2016. Through his work in the RAI, Adrian has also founded the annual Foodie Destinations Award - a competition highlighting and recognising the excellent produce, restaurants, talents and foodie destinations that the island of Ireland has to offer. At European level, Adrian represents Ireland at HOTREC, the hospitality industry lobby group in the EU. Adrian has chaired the Food Taskforce since 2012 and in October 2016 was elected to the Executive Committee of HOTREC. 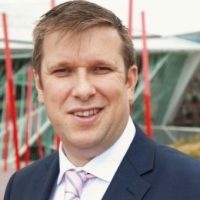 In the past, Adrian has held the position of Chief Executive Officer for both MEI (Marketing English in Ireland) and the IHI (Irish Hospitality Institute). He currently sits on various boards including the Irish Tourist Industry Confederation, Food Safety Authority Catering Forum, Drinks Industry Group of Ireland, National Hygiene Partnership Committee, Irish Food Service Alliance, National Tourism Strategy Committee for The Gathering 2013 and the Irish Academy for Hospitality and Tourism. Retired from Inter-County hurling at a young age, Adrian transferred to coaching and has led the DIT College & Knockbridge hurling teams over the past few years.